The Revaluate NAR Show Special – SALE NOW! Now’s your chance to get the Revaluate NAR Show Special Discount! Revaluate is speaking, exhibiting and rubbing elbows at The National Association of Realtors Conference in Chicago for from Nov 1st-6th. Even if you will not be attending, you can save. Book an appointment for a call before the show, or in person at the show with one of our data experts and become eligible for our PRE-NAR special. The show special discount is for new clients only and only for a limited time. 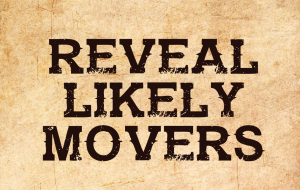 Prospect like never before: Know who’s most likely to move in your network. Next story Your Database is Your Databank!